Today we released our fiscal 2018 third quarter financial results, and I’m excited to share an update on our Next-Gen Network build. With a quarterly network investment that’s doubled year-over-year, we’re making continued progress improving coverage, reliability and speed on our network that’s built for Unlimited. More Spectrum Now On Air: We completed thousands more triband upgrades in Q3, and today we’re giving customers faster data speeds with 2.5 GHz deployed on roughly 75% of our macro sites. In addition, we’ve added 800 MHz to thousands of sites, primarily in the Southwest. This extends our voice and data coverage into more locations, including indoors where the majority of wireless traffic is generated. Outdoor Small Cells Increase Speed and Capacity: In Q3 we deployed thousands of 2.5 GHz outdoor small cells – both mini macros and strand mounts – to now total 27,000 on air. We’ve more than doubled our on-air mini macros year-over-year, and had a very successful rollout of strand mounts on cable infrastructure, with both tools significantly improving our customers’ network experience in targeted locations. 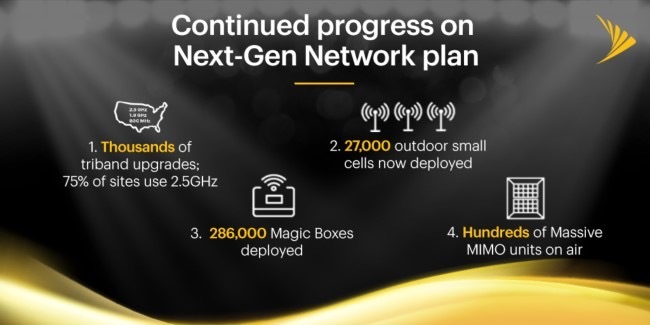 Sprint Magic Box Innovation Continues: To date we’ve distributed more than 286,000 Magic Boxes across the country, and in Q3 began shipping our smaller, faster Generation 3 model. The success of this product continues with the debut of Sprint TREBL Magic Box, the world’s first smart home small cell solution providing better LTE coverage, an integrated Alexa voice assistant and exceptional Harman Kardon sound quality. 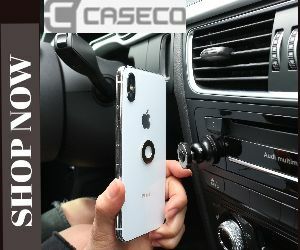 This unique product took home a prestigious 2019 CES Innovation Award in the Smart Home category (and it’s been nominated for a GSMA GLOMO award). Massive MIMO Boosts LTE Capacity: Hundreds of 5G-ready Massive MIMO radios are now on air delivering a big boost in LTE speed and capacity as we prepare to light up mobile 5G service. 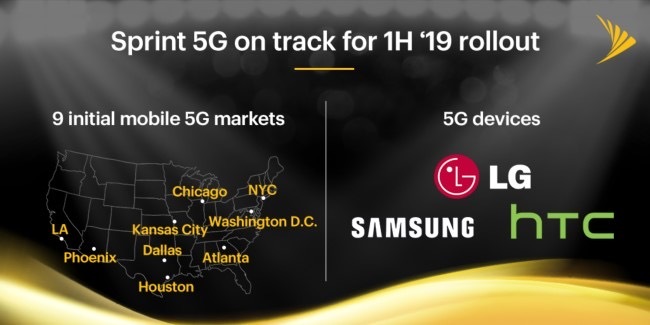 In Atlanta, one of our first nine 5G launch markets, Sprint customers at the Big Game this weekend will have a great experience benefiting from the major investment we’ve made in network upgrades and our deployment of Massive MIMO. 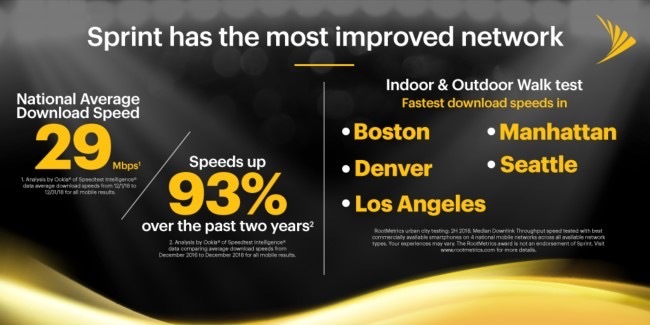 In fact, recent independent crowdsourced tests show Sprint had the fastest average download speeds around the stadium. Meanwhile, over in Reston, Virginia, Massive MIMO is pushing a 4X to 20X increase in speeds (both indoors and outdoors) at the Reston Town Center, a popular destination with more than 50 stores and 30 restaurants. It’s the type of high-traffic location that’s perfect for Massive MIMO and 3D antenna beamforming – technologies that excel at moving more data, to more people, at significantly faster speeds than before. With newly added capacity from Massive MIMO, our network traffic at this location has jumped 42% and the number of connections have doubled, due in large part to improved indoor coverage. 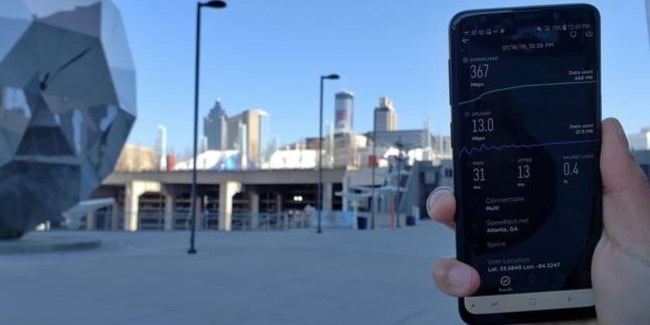 Looking ahead, we’re on track to launch mobile 5G in the coming months covering the downtown city centers of Atlanta, Chicago, Dallas, Houston, Kansas City, Los Angeles, New York City, Phoenix and Washington, D.C. We’re making good progress, having completed earlier this month with Qualcomm Technologies and Nokia, our first 5G data call on our commercial network in San Diego. With our largest network investment in years well under way, we’re working hard to improve our LTE Advanced network and launch mobile 5G. We also continue to advocate for our merger with T-Mobile, knowing that together we can build an incredible nationwide 5G network neither company could achieve on its own that reaches underserved communities, accelerates competition, and drives new levels of innovation for all U.S. businesses and consumers. 4 RootMetrics New York City, Los Angeles, CA; Denver, CO; Seattle, WA; Boston, MA Metro testing: 2H 2018. Chart represents Median Downlink Throughput speed. Tested with best commercially available smartphones on 4 national mobile networks across all available network types. Your experiences may vary. The RootMetrics award is not an endorsement of Sprint. Visit www.rootmetrics.com for more details.